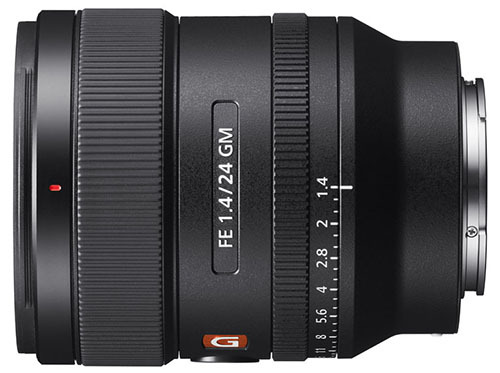 Sony only announced the new Sony FE 24mm F1.4 GM lens (SEL24F14GM) yesterday, but already reviews are coming in from journalists and Sony Ambassadors invited to an early hands-on session. These reviews are mainly from journalists who have been paid by Sony to fly out to this event, as well as Sony Ambassadors. I don’t doubt that this will be an excellent lens, but I’d certainly recommend taking these early reviews with a pinch of salt. Check the written reviews below from the team at Phillip Reeve for the best review of this lens so far. If you prefer to sit back and watch reviews, then these are the best reviews for the Sony FE 24mm F1.4 GM on YouTube worth watching right now. If you prefer written reviews, then these are the ones worth reading right now. It really is early days yet, but first impressions show the Sony FE 24mm F1.4 GM to be an exceptional lens that offers great autofocus performance and brilliant image quality. The circular 11-bladed aperture can achieve circular bokeh in out-of-focus areas that results in a smooth, “buttery” effect for isolating subjects when shooting wide open. Additionally, the 24mm lens can focus as close as 0.24 meters (0.79 feet), allowing for unique angles and a wafer-thin focus plane. The new DDSSM autofocus motor is approximately three times faster than previous autofocus motors, it’s also the same motor that can be found in the new FE 400mm F2.8 lens. This new AF motor helps to provide faster, more precise, and much quieter autofocus performance when shooting stills or movies. More reviews are likely to come in as soon as this lens is available, so I’ll be updating this article just as soon as there are any new reviews worth adding. I’m also very tempted to hire this lens myself to see how it performs against the Zeiss Batis 2/25 and the Sony FE 16-35 F2.8 GM at 24mm focal length. You can view the full details of this lens and sample images on Sony’s website. Are you tempted to buy this lens? Let me know in the comments below. The SEL24F14GM won’t start shipping till October but you can already place your pre-order from the following stores.